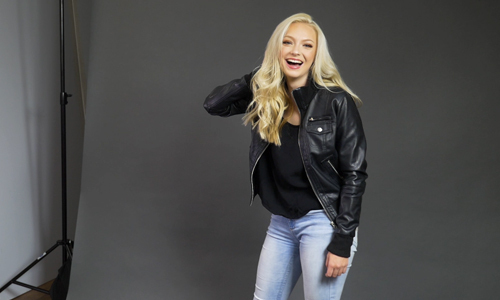 Although numerous, top professional photographers use complicated, studio-based lighting set-ups, many photographers choose to keep it stripped down. If you are one of those minimalist shooters that want to be able to travel light yet create professional looking, high-quality images, here are some products and techniques that will allow you to build the ultimate portable photo studio. Light tents have gained popularity in recent years thanks to the surge in Etsy and Ebay sellers. The tiniest, the Foldio, checks in at a mere 10.2” x 0.6 x 10.”2 inches/9.6 ounces. It even comes with its own built-in LED lights and three backdrops to switch out (black, grey and and white). You can make your own backdrops to easily fit the Foldio. It folds flat for easy storage. Overall light tents are available in a wide range of sizes and with or without lights. 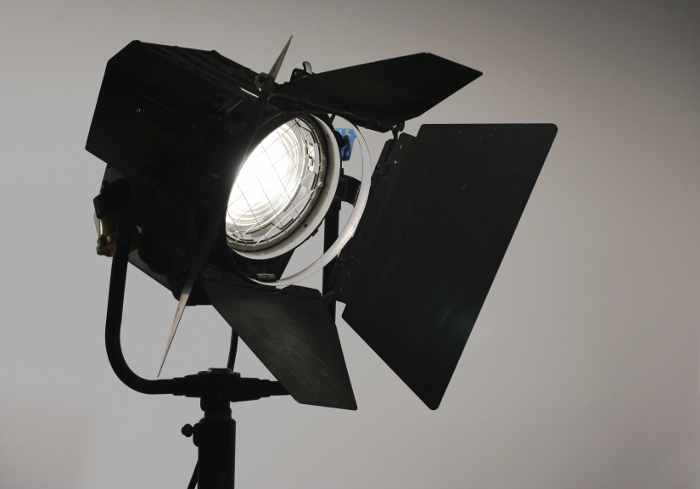 You can also go low-cost and create your very own light tent using a cardboard box and some fabric and tape. Size: does it measure less than 24 inches when collapsed? Weight: Is it light enough for you to be able to tote around with getting tired and strained? Payload: Can it handle the weight of your camera plus your heaviest lens? 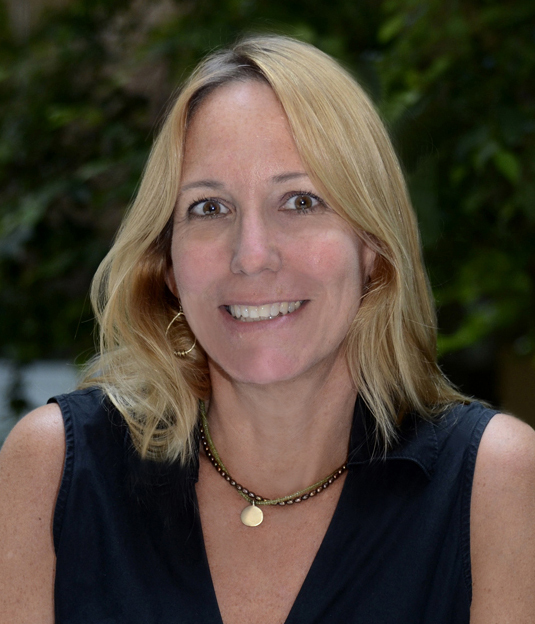 Durability: Is it constructed well of durable materials? Leave your professional, heavy-weight tripod at home and check out these solutions for on-the-go shooting. 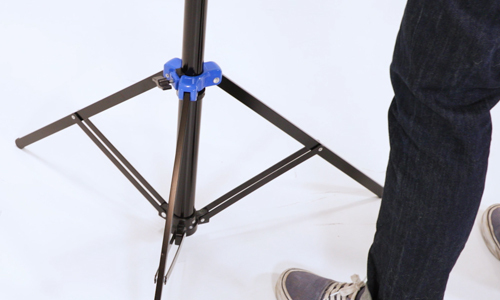 Look for a sturdy tripod that clocks in at under 3 lbs. The Gitzo GT0532 Mountaineer and Gitzo GT1542T Traveler are two good ones to try. If you are an avid camper, hiker or all-around Selfie-obsessed, the Gorilla pod is for you. Joby’s flexible series of Gorilla pod, portable tripods are sturdy and can attach your camera to almost any object easily. Mini-tripods are perfect for portable product studios when you’re shooting tabletop items and/or shooting with a light tent. They also work well for macro photographers who need to get down on the ground when shooting. If you often use your mobile phone to capture a moment, don’t rely on the harsh, on-phone flash anymore. Create your own “magic hour” with the Mobile Lighting Kit featuring the Pocket Spotlight, Pocket Reflector and Rainbow Filter Set. It helps even out your light and keep the white balance in check. 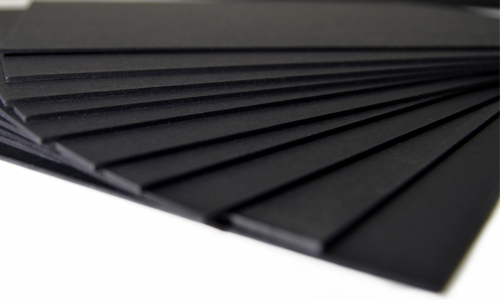 Also purchase a large piece of Foamcore that’s black on one side and white on the other. Cut it down to various, portable sizes and keep on hand in your car. 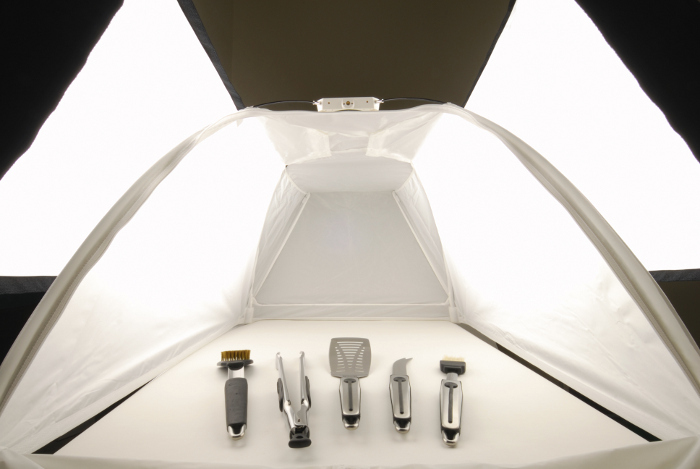 There are many lightweight, portable constant light kits that feature three heads, detachable softboxes and light stands. 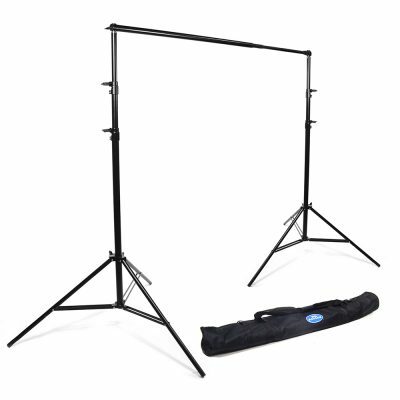 You’ll also need a portable backdrop. 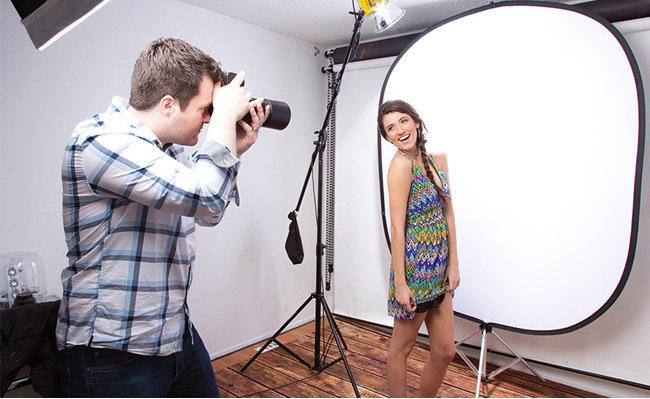 Try a collapsible backdrop that comes with a stand and folds up into a circle and packs neatly away in its own case. There are many colors to choose from including a reversible black/white, a chroma key and more. 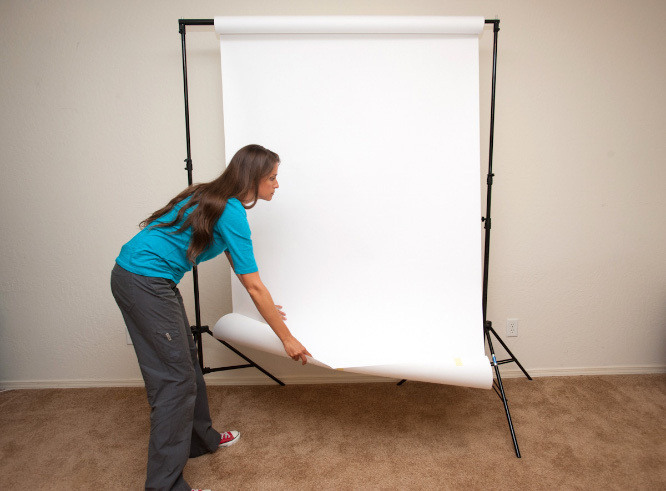 Muslin backdrops also provide a versatile backdrop solution for your portable photo studio. 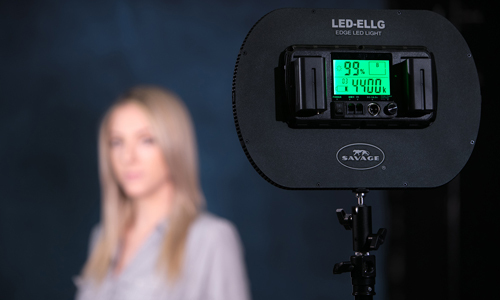 Use a portable and collapsible backdrop stand such as Savage’s Port-A-Stand. It’s strong yet lightweight stand opens to 10’ 6” wide and 8’ 10” high, collapses to 44”, and can accommodate paper and fabric backgrounds. Do You Really Need a Backdrop Stand?